One of the promising recent trends in music around the world has been the increasing cross-fertilization of what can roughly be labeled academic chamber music with other styles. Of course this is something that’s been going on for a long time, at least back to the first hints of ragtime that showed up in the “serious” piano repertoire, and includes composers such as Gershwin and Ives. Coming at it from the other side, jazz innovators like Duke Ellington brought elements of classical music into jazz, and starting in the 70s various rock groups initiated what has come to be called chamber rock. Starting with Univers Zéro and others, through to Birdsongs of the Mesozoic, The Claudia Quintet, The Cellar and Point, and Tatvamasi, to name a few. We’ve come a long way since I attended a young composers’ camp and one of the other attendees told me, “I like jazz fine — but I prefer music.” Ergo is in the same general category, with their own particular blend of chamber music, jazz, rock, and electronics. Trombonist Brett Sroka is the composer, and while Ergo is only a trio — Sroka joined by Shawn Baltazor (drums) and Sam Harris (keyboards) — the use of live electronics often gives the illusion of a larger ensemble. The overall impression is generally minimalist, consisting of one or two elements at a time, with the electronics providing a kind of ambient counterpoint flying off the played parts like sparks flying off a grinding wheel. (The metaphor is only partly apt, since Ergo’s music has none of the crude noise that a grinding wheel implies.) Harris’s piano is often the underpinning of the pieces, sometimes natural and sometimes prepared, though he also uses a Rhodes electric piano. The tumbling arpeggios are infused with a sense of calm which is enhanced by the echoes and reverberations they trigger. Sroka’s trombone provides both melody and texture, with a yearning, mournful tone that never ventures into the kind of jazz cliches that so many players rely on. At times it sounds more like a trumpet or something unworldly, and it too goes into the electronic stew. Baltazor’s drumming combines a jazzy approach with great sensitivity to what’s going on around him, never just laying back and swinging. In fact, his parts don’t really seem to be based on patterns but on either supporting the pulse expressively (when there is a pulse) or providing his own color in the freer sections. 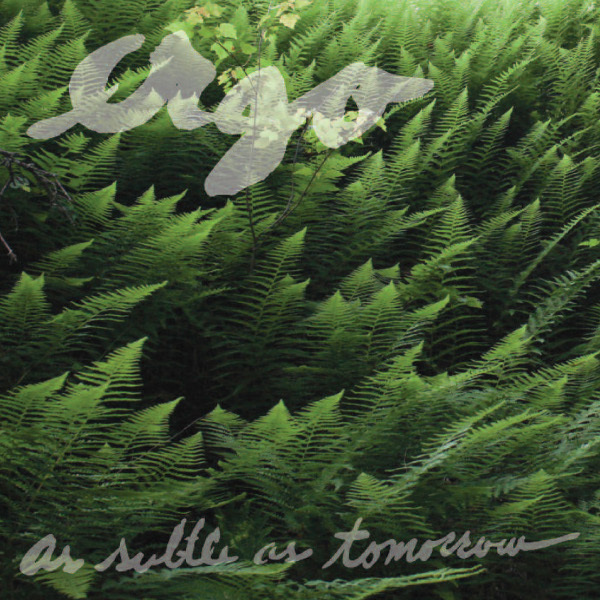 As Subtle as Tomorrow is a lovely musical vision inspired by an Emily Dickinson poem, and in aesthetic has the same gauzy suggestiveness without concrete resolution.